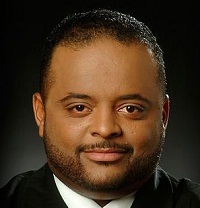 Roland Martin‘s discusses the latest in the death of Georgia teen, Kendrick Johnson. The family’s attorney Ben Crump, maintains their stance that Johnson was indeed murdered when his body was found in a gym mat more than a year ago. Crump gives us intimate details inside the case, the Sheriff’s department calling the teen’s death a hoax and critical details that will be released this week that will help bring the Johnson family closure. The sheriff of that county is probably a member of the klan. Wasn’t Crump humiliated enough by staging the Trayvon Martin lies and false family stories?